Life is for real, baby. Live it. Toot toot! I’m back! I’d like to say it was a peaceful break, full of delightful trips down Creative Writing Lane – but it was void of any ‘productive’ work, barring labour and delivery. No, not a baby! A TV show. Calgary was an unexpected journey but not an unwelcome one, in the end. I was getting over a relationship that ended rather sadly, and unable to concentrate on writing Book 2 of The Stowaways. So what better time to experience a completely new place? I took the contract and just went with it, even though I had been planning on writing the whole year. When the words don’t come… what can you do? Do something else. I am happy to report that after the first six weeks of misery in Calgary, grumbling and moping over not writing (I am a certified Master of Resistance), Alberta won me over! What a positive, sunny place to heal your broken heart. I spent loads of time with bubbly Nicole McInnes, of OhDina fame, who was milliner on the show and also became a close friend (Need a flower crown? Yeah, we all do sometimes. She’s your gal). Because of time with her, I rediscovered my fun side and came back to Halifax feeling able to steer life again. Sometimes you have to give yourself time to rehabilitate and strengthen before you can emerge from under a Rock of Pain. And sometimes you need someone to kick you in the, er… “posterior” and tell you to enjoy your darn self for once! Nicole was just that person. 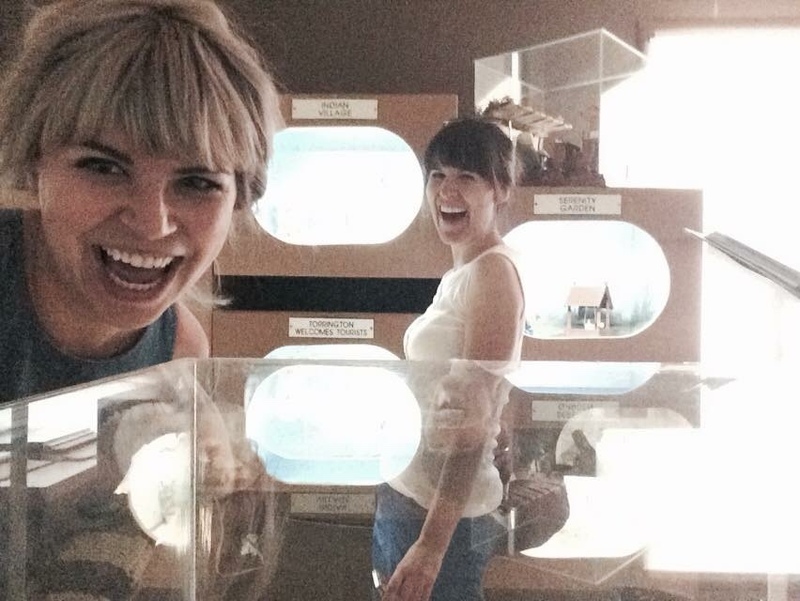 Here’s a sample of the giggles we had at the Gopher Hole Museum in Torrington, Alberta. Yeah, that’s right. Stuffed gophers. It’s not for everyone but if you leave without a smile on your face, I’ll be surprised! Yeah, it’s for real. Life is full of unexpected side-swipes, and though we may crash and burn for a bit, there is always the rest of today to turn it around. 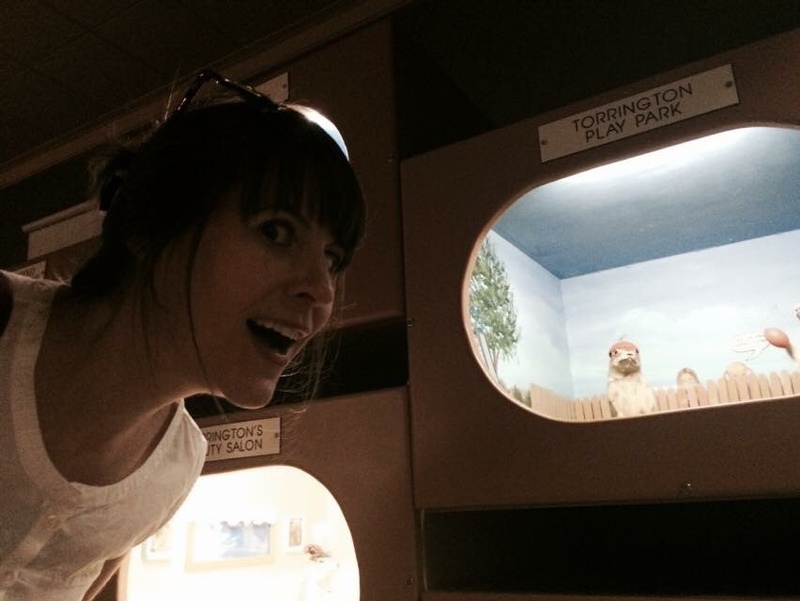 And there is always a Gopher Hole Museum to remind you that you won’t be sad forever. You’ve laughed before, and you will laugh again! I’m happy to hear Alberta won you over, Meghan, and I’m also happy you’re back in Halifax. 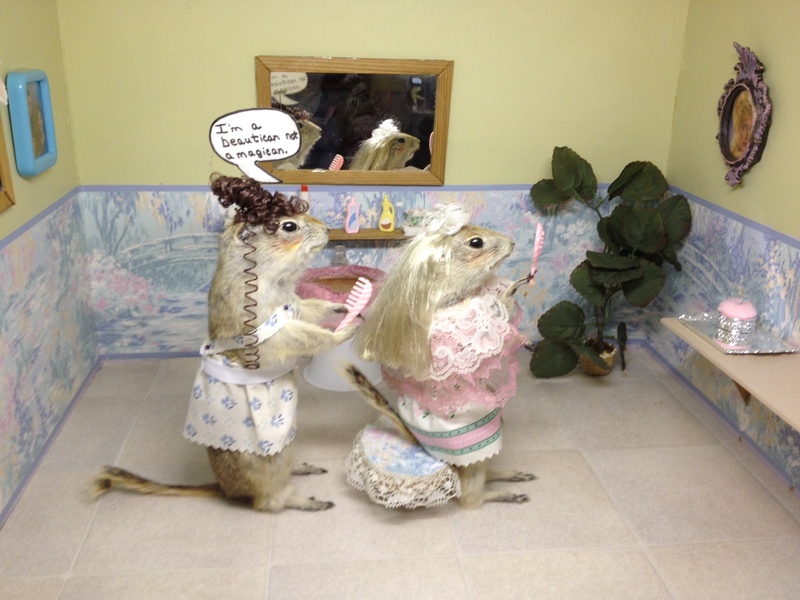 In all my Alberta travels I have never seen (or heard of) the Gopher Hole Museum. Sounds like a good place to find inspiration for your return to Creative Writing Lane. Hi, Beth! It is certainly an interesting display. Very tongue in cheek. It’s really tiny – only a room, but over 45 dioramas.